Now none of us like a wild dinner table, but we can make an exception in this case. It’s the brand new melamine range from Anorak, with striking graphic prints to add a groovy element to the plainest of tables! We’ve loved the Anorak Kissing Animals range since we showed you last October and now they’ve added feeding gear to the mix. 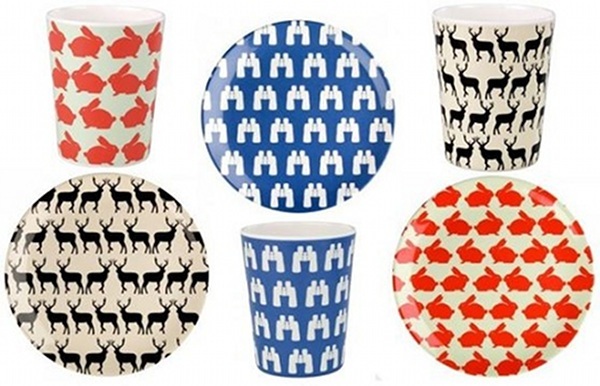 We think the designs have translated beautifully to the plates and cups and we’d like to flag the binoculars designs for being particularly inventive in expanding on the ever-growing wildlife theme. 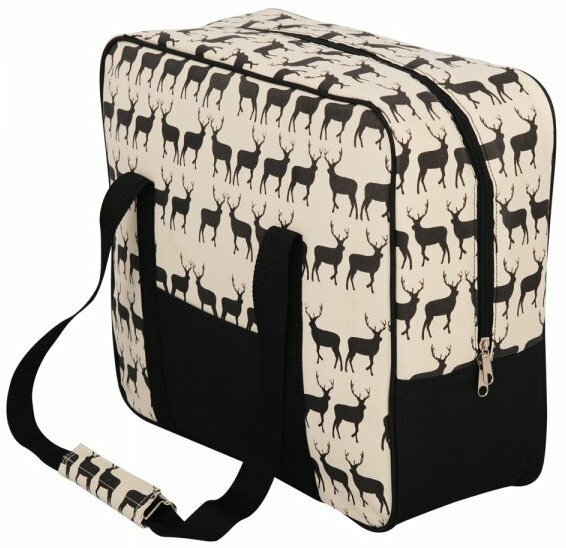 With the amazing picnic blankets and cooler bags also on offer, you can make up a picnic set that’s fit for kids and adults alike. Anorak gear is seriously covetable – lovelies attractively presented in every nook and cranny of the website. 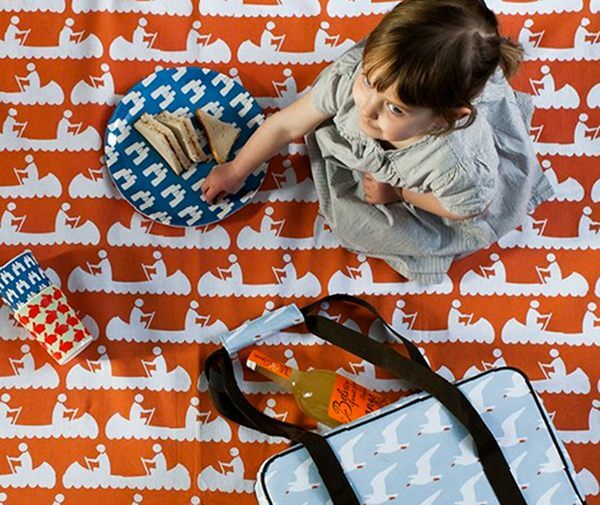 See the picnic gear section for the melamine, blankets and bags from Anorak. The cups are £4.50, plates are £5.50 and picnic cooler bag is £38.50.